Life coaching can take you above and beyond your own personal limitations. More often than not, people try to achieve their greatest potential, but don’t even realize what stands in their way. A personal Coach can offer an unbiased and objective perspective, and can help you realize your patterns and habits. Most people experience that they are more efficient when working with a Life Coach and that this provides the opportunity for them to better realize their potential. Life coaching can make your dreams attainable and will give you support and encouragement along the way. Life coaches help people to “peel back the layers” and find out who they really are and what they really want from their lives. Life coaching, at its core, is about helping people to find more balance and fulfillment in their lives, and allowing them to get more of what they want, and less of what they don’t. 1. What is a Life Coach? A Life Coach is a trusted mentor who can help you identify and uncover what keeps you from reaching your fullest potential. It is a one-on-one relationship that provides a supportive and non-judgmental space to help you create what you want for yourself. You can find a Life Coach to help you strategize and acquire the tools you need to achieve your goals. It consists of steps to help you identify and reframe your thoughts and attitudes. It can also help you break negative habits, acquire new methods of identification, and take action to achieve your maximum potential! 2. 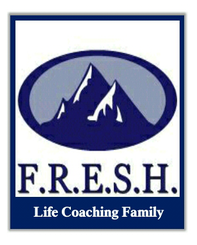 How will Life Coaching help? The results will vary depending on what brings you to a Life Coach. If you get a Life Coach to help you out professionally, life coaching can help you make your current job more gratifying, gain better focus on managing your work, and market your self more effectively. If your reasons are personal, you can find a life coach to help you improve your relationships, resolve ongoing negative behaviors, improve your overall health, and grow spirituality. With life coaching you can live a more balanced and enhanced life and make your dreams come true! 3. Is Personal Life Coaching confidential? 4. What Happens When You Hire a Coach? Coaching increases your knowledge of who you are, what you really want, your strengths, your areas for improvement, and what self-limiting beliefs and habits you have that may be holding you back. Coaching gives you a reason to take time out from your busy life to find out more about yourself, about where you are in your life and where you really want to be. Coaching gives you the opportunity to take control of your life, and to start directing its course, rather than being swept along with the prevailing tide. Coaching helps you to identify self-limiting beliefs, become aware of them, and to replace them with more empowering ones. Coaching can help you speed up the process of reaching your goals. A coach will help you to clarify what it is that you want and come up with specific actions that you will take to bring you closer to your goals. Your coach can help you to identify what it is that has been holding you back from achieving your goal, and help you to overcome any obstacles. 5. When, Where, and How are Coaching Sessions Conducted? 6. How Long Do Sessions Continue? There is no set length of time for sessions. You continue to work with me until you achieve your goals. Most clients find they need a minimum of 6 to 12 sessions. Others continue for extended periods of time. It is up to you, your progress toward your goals and your satisfaction with the coaching experience. The practical results-oriented approach of coaching motivates you to make the changes you want in your life in a relatively short time. Factors that may impact the length of time include: the types of goals, working styles, and frequency of sessions. I invite my clients to make an initial commitment to themselves of at least 4 sessions. There are three levels of coaching packages from which you can choose where cost varies depending on the frequency of the sessions. You and I can customize these packages to best fit your needs. Once the fees are established, payments are expected the first of each month.